Obituary for Stella May (Middaugh) Coldwell | Myers - Somers Funeral Home, Inc.
Stella May (Middaugh) Coldwell was promoted to glory on January 14, 2019. She was born September 14, 1955 in Doylesburg, PA a daughter of the late Ralph “Buzz” Middaugh and Beulah (Smith) Middaugh. 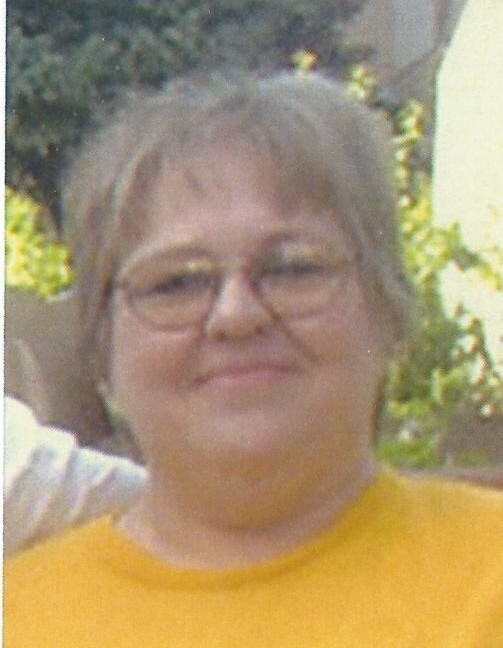 Surviving are her husband and best friend of 38 years, David and a son Benjamin of Altoona, PA. The fifth of five children, Stella is survived by brothers Bill of Shippensburg, PA and Bruce of Concord, PA. She is also survived by a sister Judy Johnson of Ft. Loudon, PA.
She was preceded in death by two brothers, Blain and Donnie. Stella was retired from Family and Children’s Services as a “house mom”. Her extended family was personal to her and she was always focused to shine light and love in their lives. Stella enjoyed cooking, cooking shows and especially “The Price is Right”. She was a most excellent speller of words. Stella’s life proved she was truly one of God’s angels on earth. It is Stell’s wish that her memorial service remain private within her family.